Sometimes you have to clean and service your vacuum cleaner! Now's the time! Call us or stop in. You should visit the vacuum store if you are in the market for a Vacuum Cleaner, need service on your vacuum or are looking for specific tools for your vacuum cleaner to do a specific job. 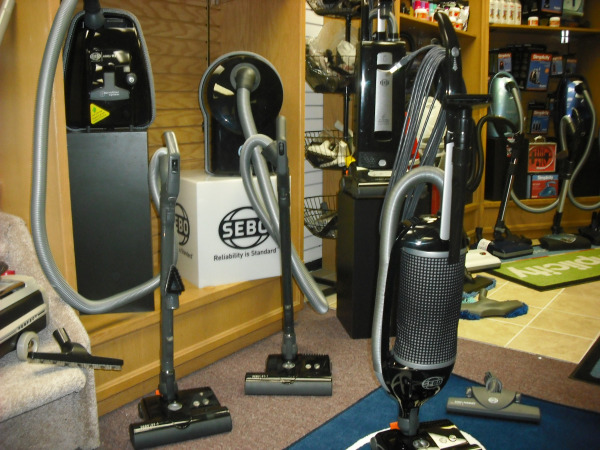 If you are fortunate enough to live in an area where there are several vacuum stores, visit as many as possible. Most of my customers are fortunate enough to have a lot of choices where to buy a new vacuum cleaner or have theirs serviced. In addition to many Big Box Stores (one of the worst places to purchase a vacuum cleaner) there are more than 10 Vacuum Cleaner stores within a 30 - 45 minute drive. Our store is one of Five Vacuum cleaner stores in a seven mile stretch. Four of thoose stores on the same road! That's great for those customers but what about the customers close to us. But what about those outside our area? Is it worth the drive? I say, without a doubt, yes. Bigger Selection - The Vacuum Cleaner Store gives you more choices. 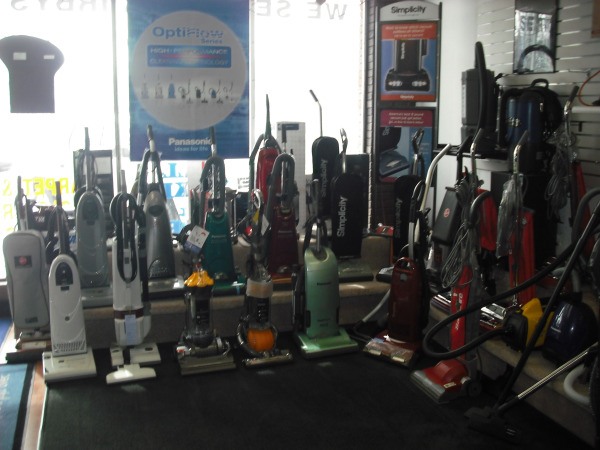 Most Vacuum Stores have a lot more to choose from than any Department store. Better Selection - The Vacuum Cleaner Store gives BETTER Choices. You want the Vacuum cleaner that is right for you. Not just the one that looks good on the shelf. The Vacuum Cleaner store owner has taken the time to do the research to find out which vacuums work the best, are easiest to use and are built with the best quality. Warranties - The Vacuum Cleaner Store is the Warranty Center for what they sell. In addition, most Vacuum Cleaner Stores offer extended warranties. Service - The Vacuum Cleaner takes a beating every time you turn it on. Think about it, all we do with a vacuum cleaner is throw dirt in it. It will eventually need to get cleaned and serviced. You want to bring the machine back to the Vacuum Cleaner Store to get it serviced. The Vacuum Cleaner Store Cares - When you visit the Vacuum Store you should have a sense that they care about making your job easier. They should care about all of the above. They should spend some time answering your questions, giving you advice and matching up the right vacuum cleaner and tools with your particular needs. Like it or not, you will be vacuuming for a long time. The Right Vacuum Cleaner Store is Worth the Drive.